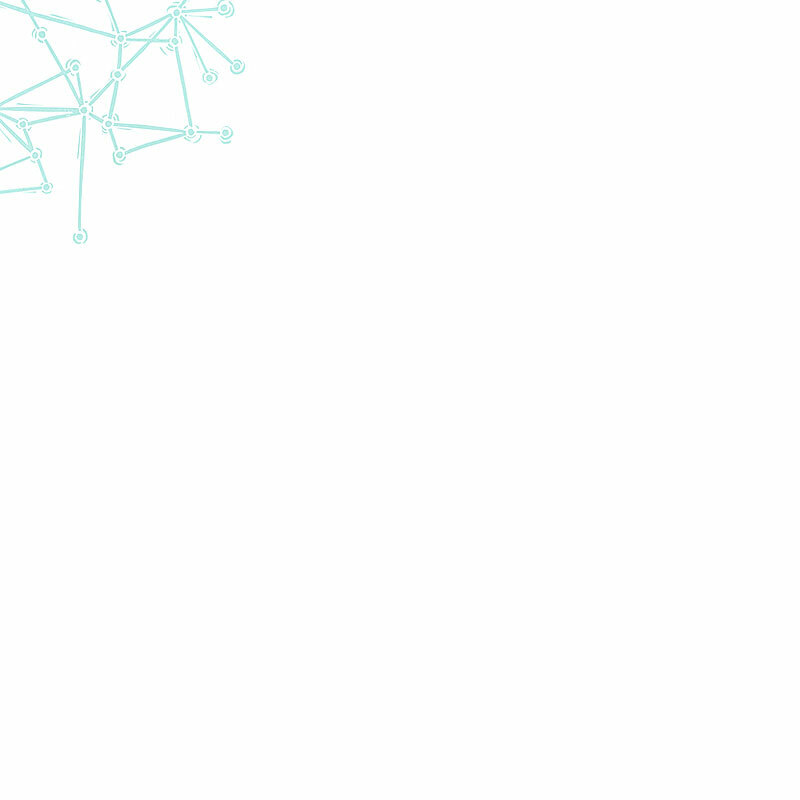 Inspired by Euclid’s geometric postulate, “Any two points can be joined by a straight line,” Connect the Dots explores, through words and images, the difficulties of applying scientific theory to an elusive relationship. Hoping that Euclid’s postulate is right, the narrator imagines a landscape of constellations and trajectories, of dots and arcs, in an attempt to connect one person to another. Designed, written and printed by Macy Chadwick, Connect the Dots was letterpress printed on Kitakata paper with pressure prints, relief prints, polymer plates, and text handset in Optima. 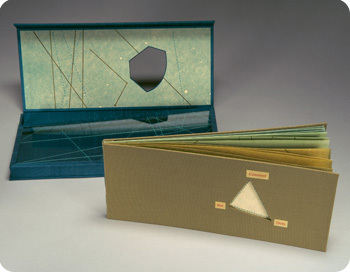 Longstitch binding, housed in a plexiglass slipcase within a cloth covered box with magnetic closure. book: 4.25 x 10.25 inches, closed. box: 10.75 x 4.75 x 1 inch, closed.